I’m not sure about all of you, but I don’t belong to a gym. Pre-kids I was gym rat – 5:30am, 3-4 days per week before work, I was there. Now that I have three kids, that lifestyle is a distant memory. Like really distant… how and why did I manage to wake up so early? I will never know. These days my workouts consist of a once or twice weekly run before my husband is off to work, chasing my kids around the playground, and I am pretty sure loading and unloading my double BOB stroller in and out of my trunk and/or holding my 30lb 1 year old while climbing stairs, making dinner, and bending over to pick up Legos counts as some sort of weight/resistance training, right? I mean, seriously, you should see how ripped my left arm is from holding kids. But in reality, this mama is ready to get back into a more regimented, predictable workout schedule which is why when Focus Fitness Main Line asked me to come check out their studio and take some classes, I was all over it! 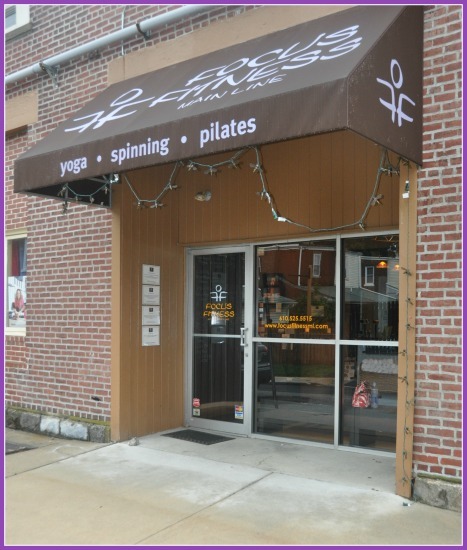 This boutique fitness studio, located in the heart of the Main Line (Bryn Mawr), is a place I used to frequent before kids. You know the routine – a sweat session on the weekend with girlfriends followed by a date at the coffee shop up the street – a Saturday morning well spent… remember those days?? And then later, I attended their amazing prenatal series for all three of my pregnancies. However, life got busy and it had been a while (over a year!) since I had been there last. But as soon as I walked in the door I remembered why I liked this place so much. The four signs on the left provide information about the studio itself- Reclaimed mirrors and tiles, low VOC paint, and low energy compact florescent lightbulbs… not to mention the gorgeous bamboo floors, state of the art spinning studio (with a video screen! ), and three spacious, zen-like studio rooms for yoga, pilates, TRX, barre classes and more. Alright, team! It’s time to put your war paint on!! The next class I took is my favorite – the YeS class – the perfect blend of spinning (45 minutes) and yoga (30 minutes). This is the ideal class for me because while I don’t have all the time in the world to workout, when I do, I want it to count. And trust me, the time flies! I ended it wanting more – even if it was just the Shavasana – because what person doesn’t need more of that pose in their life, right? 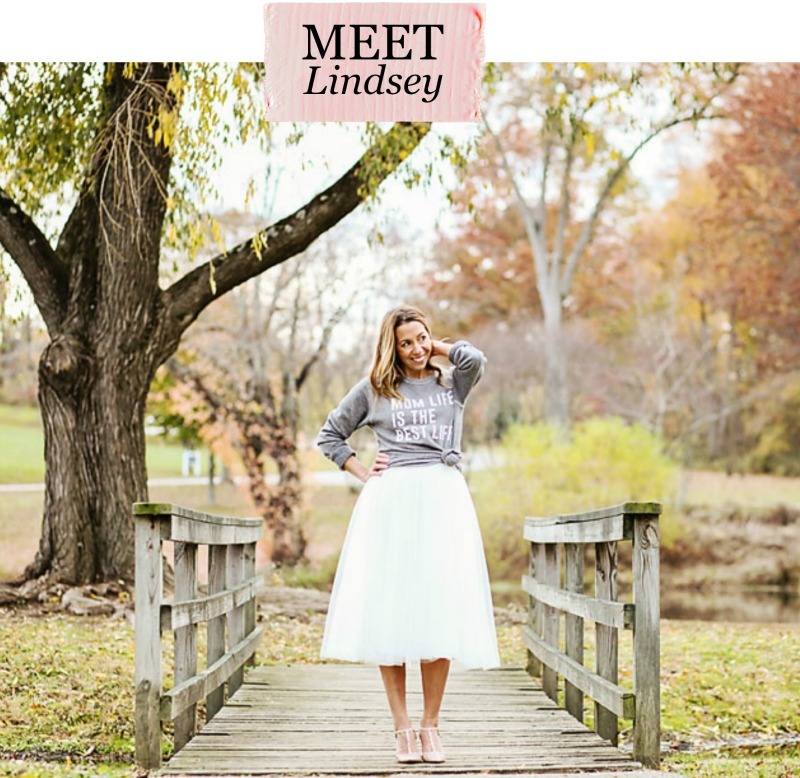 I am so excited to be reacquainted with Focus Fitness Main Line and even more excited to share the experience with my readers. 1. Prenatal/Postnatal Yoga with Colleen Pellegrini – This is a 6-week series on Thursday evenings, 6:15 to 7:15pm, from September 4 through October 9, 2014. Postnatal clients can bring the baby with them! 2. Tween Yoga with Eliakim Warren (for ages 9-12) – This is 6-week series which will run twice in the fall; it is offered on Monday afternoons, 4:15 to 5:15pm. The first session is from September 8 through October 20 (no class on Columbus Day 10/12/14). The second session is from October 27 through December 8 (no class on November 24). 3. Yoga Teacher Training– This is an incredible opportunity to dive deeper into your yoga practice, regardless as to whether or not you want to teach! And because we want to share the Focus Fitness love with you all, I’ve teamed up with them to give not one, but TWO readers some FREE classes! The first place winner will receive a 5 class card and the second place winner will receive a 3 class card! Enter away and I hope to see some of you there! *Thank you to Focus Fitness Main Line for sponsoring this post. All opinions are my own. Yoga! This mama needs some peaceful exercise after this summer! OH FUN!!! I wish I loved closer looks awesome!! Looks like I would love the place but I live in Jersey. 🙁 I shared the contest in a Facebook Mommy page! I wish I lived closer! This looks awesome! I’ve been wanting to try FFML for a while now and am just waiting for some free time to try out a class. I’m really excited to try YeS–doing yoga after spin makes a lot of sense! Does this mean you have some news to share??!! I went to one class recently. Nice studio. This is so awesome! I have a 6 month old and I’m hoping I could do the post – natal yoga!